This 225' x 150' Arena is fully covered for use in all weather conditions. A new lighting system provides stadium quality light. 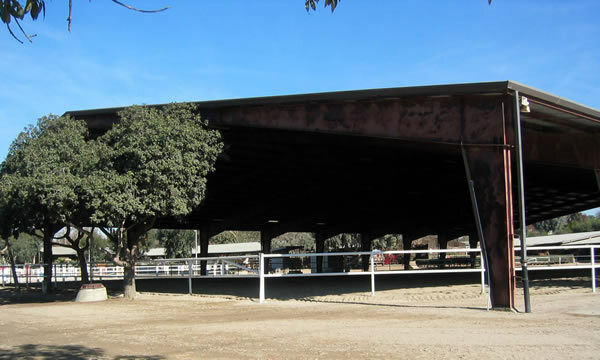 The Large Covered Arena is available day and night for Riding and Lunging.